The Zimbabwe Republic Police (ZRP) has released 36 names of the people who died on Wednesday this week near the Rusape tollgate. Their next of kin have since been informed. Grasten Chipangura of Harare (45). 48 people injured in the Rusape bus disaster who had been admitted at Rusape General Hospital have been discharged and only four are still being treated for the injuries they sustained. 33 bodies have also been collected by relatives for burial by late this afternoon. 81 accident victims were taken to Rusape General Hospital after the bus disaster that claimed 50 lives. 14 injured people were transferred to Harare another one to Mutare while 52 remained admitted at Rusape General Hospital. Thanks to the sterling work by the Rusape Hospital staff, by this afternoon 48 people had been discharged. Rusape General Hospital's medical superintendent Dr Steward Karembo confirmed the latest developments. “The pressure that was on the General Hospital is slowly fading away as relatives are coming to collect bodies of the deceased while the majority of patients have been discharged,” he said. Some of the injured who are still hospitalised hailed the treatment and assistance they have received so far. “We are happy with the support and treatment we got after the accident as we were in a helpless situation,” said some of the survivors. 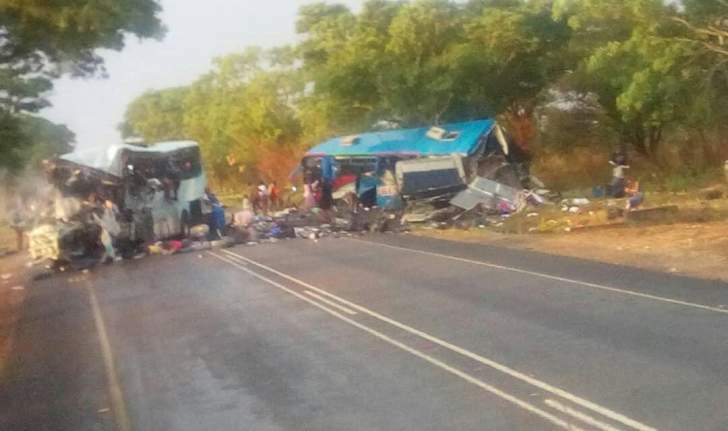 Meanwhile, the Zimbabwe Passenger Association Organisation members comprising 75 percent of bus operators in the country visited Rusape General Hospital where they said there is need to regulate the transport sector to reduce loss of lives. The association's CEO Fungai Makoni said the transport sector should not be free for all but should operate under specific guidelines and standards to guide against overspending among other vices. “There is need to regulate the transport industry in order to reduce road accidents,” he said. The accident occurred on Wednesday evening near the Rusape toll gate claiming the lives of 45 people on the spot while five others died in hospital.